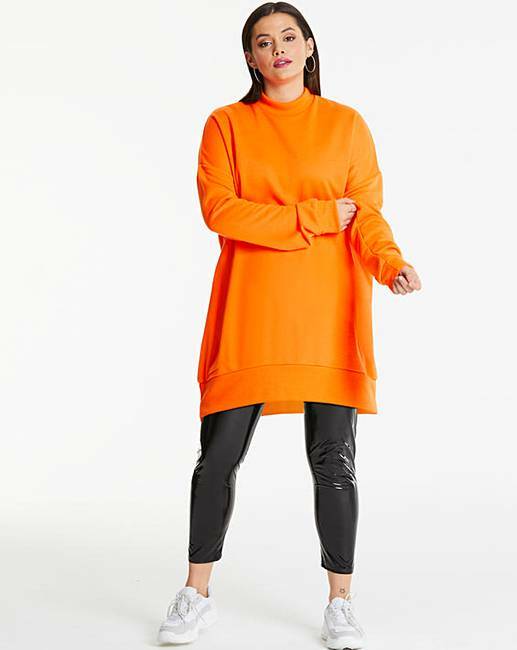 You can never have enough sweater dresses and this AX Paris neon orange one is just perfect. Featuring a soft touch jersey material, comfy fit and an oversized style. Throw on over anything for a quick chilled look. You can wear this with some cycling shorts and slides for ultimate chill vibes.